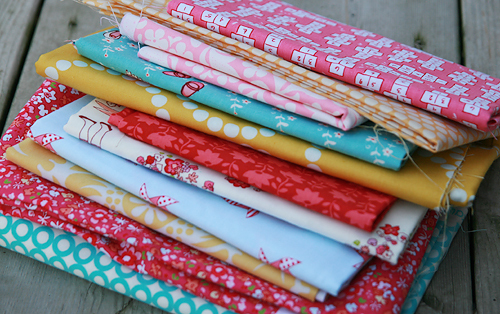 I am a true believer that you don't always have to make an intricate quilt to make a beautiful quilt. I find this especially encouraging for beginner quilters who may not have mastered paper piecing or y-seams or perfect points (yet! ), but still want to make something that catches the eye and wows their family and friends. 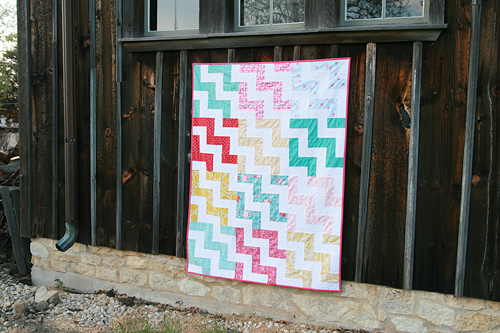 I recently made this quilt and pattern with all levels of quilters in mind. 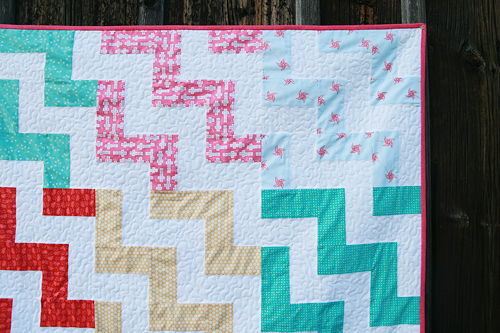 The underlying design is simple and one you have probably seen many times, but I decided to break the quilt into color blocks, changing the look of the quilt. I just love these colors, perfect for a little girl I think. 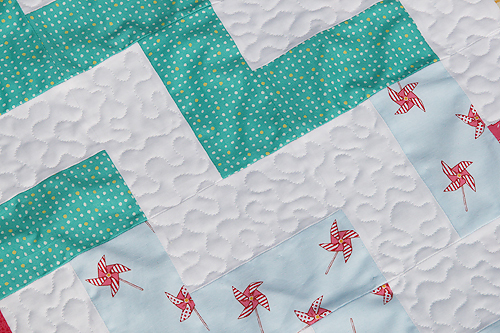 I decided to quilt this using densely spaced free motion meandering, but I only quilted the white, negative space. This makes the prints pop. 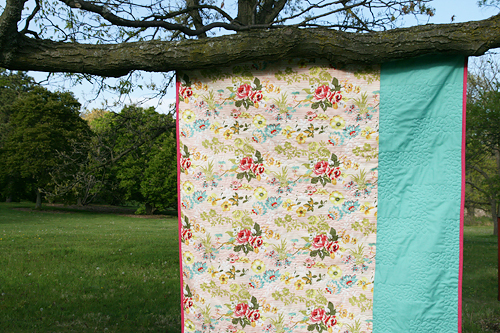 For the back of the quilt, I used one of my latest favorites - FreeSpirit Designer Solid Jade as well as a print from Moda's Hello Luscious called Blissful Floral. 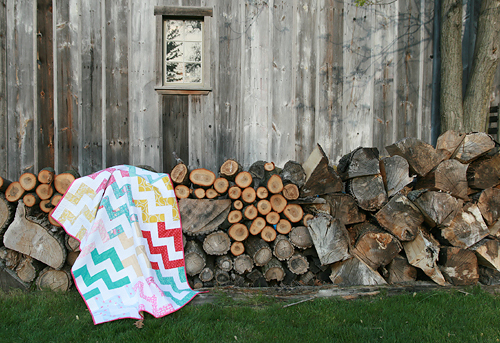 This quilt measures 45" x 60" and the digital pattern is for sale for immediate download in my pattern shop! 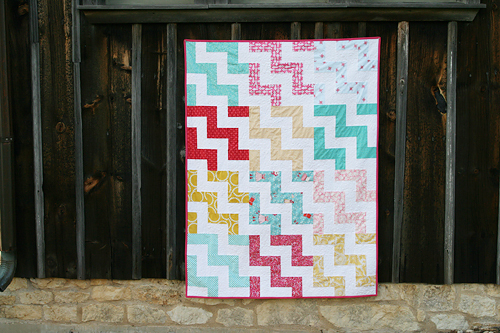 And speaking of my pattern shop, if you missed out on my Prism pattern in Quiltmaker magazine, you can now buy a digital pattern for that quilt there too.